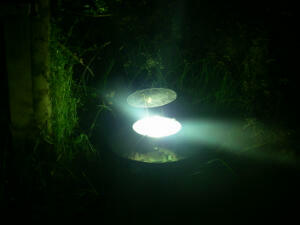 The picture below is of a moth trap glowing at the bottom of one of the Trust’s hay meadows. This was set up on the evening of Monday 30th June and shone brightly for several hours through the night, looking like a UFO had landed! The moth trap. Moths attracted to the light get trapped in the cone underneath. 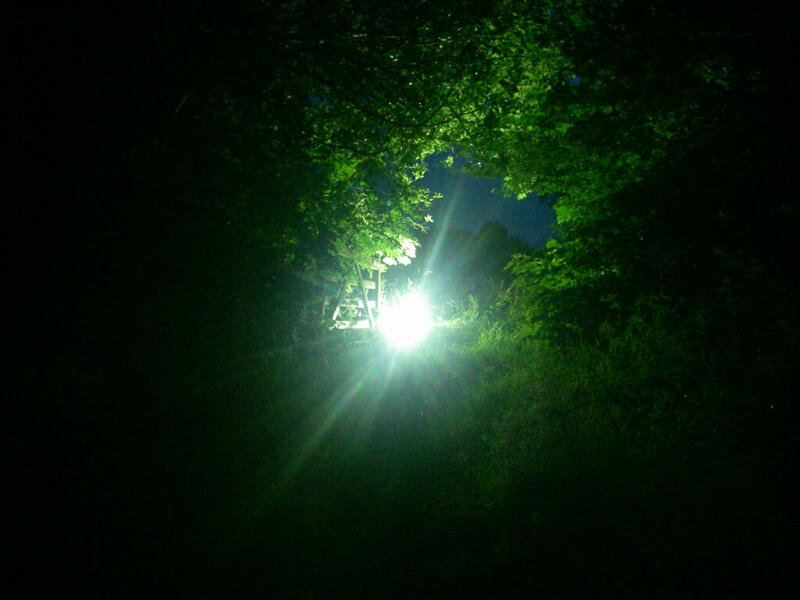 The moth trap was set ahead of a visit by a group of recorders from West Wales Biodiversity Information Centre (WWBIC) On Tuesday 1st July . The day started out at 8am, when Isabelle Macho and Sally Hall arrived to identify the moths that had been caught in the moth trap. 45 different species were found, ranging from the large and striking Poplar Hawk Moth to micro moths that were much more challenging to identify. 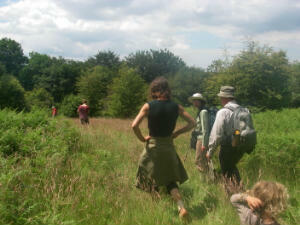 By 10.30 the rest of the group had arrived, and we took a walk around the Trust gardens, hay meadows, woods and pastures. A comprehensive list of plant species was written during the day. The complete plant species list and the list of moths trapped will be made available to us shortly and we will share the results here. 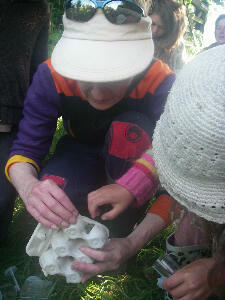 This entry was posted in Ecology and tagged biodiversity, hay meadow, moth trap, wild flowers, WWBIC. Bookmark the permalink.